What’s a Yoga Teacher Training? Wait, what’s a Yoga Teacher Training exactly? A Yoga Teacher Training is an intensive educational program which enables you to advance your yoga practice and obtain a great knowledge about the ancient science of yoga. Usually a yoga teacher training takes 12 to 60 days and covers 100 to 500 Hours of total training hours. If you are curious about what you will learn, how to apply and where to go, read the next lines. A yoga teacher training at Gyan Yog Breath begins with an introduction round, during which Swami Ji welcomes each student and explains about the training. You will receive your course books, new yoga mat, neti pot, mala (Indian necklace) and weekly schedule along with an information booklet and important dates. The practical and theoretical yoga classes slowly build up from beginner to more advanced levels eventually. Thereby, the teachers use interactive, fun and inspiring teaching methodologies. The use of visualisations, hands on adjustment, white board and student-teacher-interaction is very common. During a yoga teacher training at Gyan Yog Breath, you can expect to learn in a safe and supportive environment which means that you are encouraged to open your mind and heart in order to understand what yoga really is. Self-growth, personal development and inner transformation are great focus points and can be realized through traditional and authentic teachings/practice. 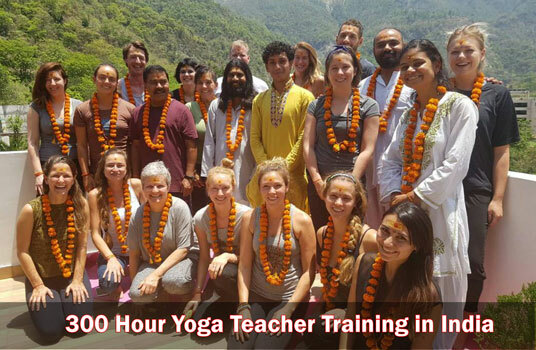 The teachers have dedicated their lives to the path of yoga completely. They hold PhD and Master degrees in Yogic Science, Veda, Sanskrit and Ayurveda. 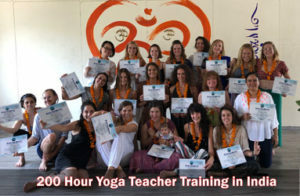 With decades of national and international teaching experience in yoga teacher training courses, universities and the yoga congress, the team has established a unique and life-changing curriculum that is accredited by the Yoga Alliance USA. You can expect to learn all about yoga from A to Z while making eye-opening friendships with fellow yogis and yoginis. The curriculum is designed so that you have the perfect mix between theory and practice. You will cover asana, alignment, pranayama, meditation, teaching practice, philosophy, anatomy, shatkarma, Ayurveda, emotional blockage treatment and more. During the second and third week, you will be teaching your own classes. Therefore, you have time to prepare. Your teachers will give classes on how to structure, sequence and realize a yoga class so that you feel ready to start your teaching practicum. At the end of the yoga teacher training, there will be written assessments which you need to pass in order to receive your final certification. Once all teaching practice and exams are over, you will be officially certified during the final graduation ceremony. It’s a moment of joy, gratitude and bliss as you worked so hard to get there! So to answer the primary question: a yoga teacher training is a short educational program which teaches you how to live a healthy, peaceful and happy life. Secret or not very known techniques will be taught to you in order to release stress, negativity and tension. 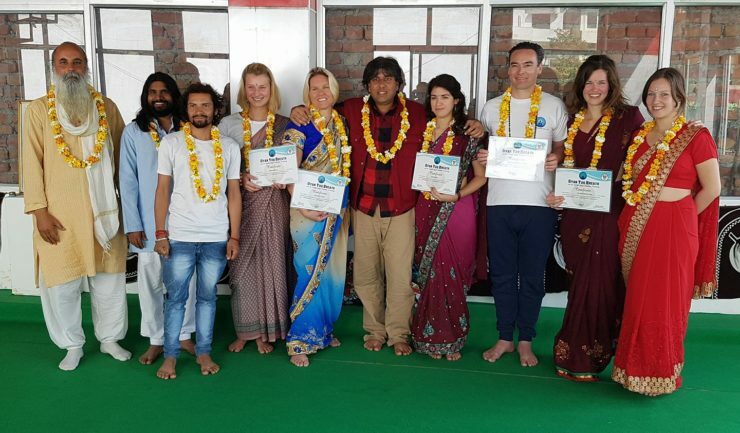 You will be initiated into the yogic lifestyle according to Indian tradition and gain the necessary knowledge needed to work as an internationally recognized yoga instructor. A yoga teacher training is even much more than these explanations. It’s an enriching experience that encourages profound transformation and lets you inner light shine even brighter! May 2018: Towards the end of our 200 & 300 Hour Yoga Teacher Training in May, we invited Pankh-the Creativity School to our yoga ashram. Pankh the Creativity school is a school that provides free education, stationary and clothes to the children living in the slums of Rishikesh. It’s run by our dear friend and partner Alankrita Bannerjee. How can an Advanced Yoga Teacher Training help you to become a Master of Yoga?